I don’t think I realized how much I missed JSA until all of the recent talk of the upcoming omnibus brought up old memories. 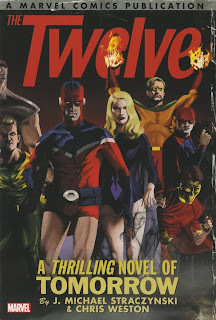 It might be surprising that a Marvel book was able to capture much of what made that classic title work, but J. Michael Straczynski and Chris Weston’s The Twelve hits all of the right notes. This wasn’t Marvel’s first attempt to ride the popularity of JSA; a variety of Invaders revivals over the last few years have sputtered due to a lack of fan interest. Fans love Captain America and Namor ... but as a team, there’s something lacking, especially since Marvel didn’t really have an equivalent to All-Star Squadron to map out its World War II-era adventures. One of the core concepts of The Twelve is that the title characters really aren’t a team. Marvel likes to advertise the Defenders as a “non-team," but the Twelve go far beyond that: they’re literally a bunch of unrelated superheroes grouped together out of convenience since so many heroes came over to fight in Europe. All of them are extremely minor heroes, many with only a few classic Golden Age appearances. This obscurity actually helps move the plot along, as I’ll explain later. Perhaps the most notable is the original Black Widow; this version is more of a blonde version of DC’s Spectre than anything resembling Natasha Romanova. Many are just regular guys in capes with the courage to enter a brutal war. As the name implies, there are a lot of characters. The cast could have been trimmed down to maybe ten with some reassignment of plot beats, but I think JMS will agree with me that The Twelve just sounds cooler than The Ten. Our narrator and lead is the Phantom Reporter; when the Twelve were put into a cryogenic freeze by a Nazi scientist and found in the modern day, he is one of the quickest to adjust upon awakening. The Reporter is a bit of a bland lead; he has no powers other than a brilliant mind. 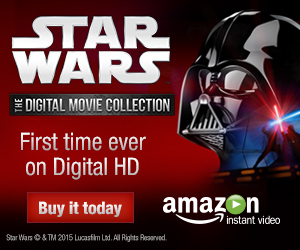 This lets the more dynamic personalities of his comrades come out over the story. I can’t confirm this, but the story of the Twelve may have been intended to echo the fate of the Seven Soldiers of Victory. Those DC heroes were catapulted through time during a fight with the Nebula Man and ended up adjusting fairly well. On the other hand, the Twelve were knocked out and reawakened in what to them felt like a few seconds. Most of the story revolves around them adjusting to their new environs; it’s not an easy task. One of the saddest fates is that of “Mister E," whose real name is allegedly “Victor Jay." Straczynski decided to turn this obvious pseudonym into a cover for his real name -- Victor Goldstein, changed so that he could advance in an anti-Semitic business world. His reunion with the remnants of his family -- a dying wife and a son who’s now older than he is and who hates him -- becomes even more heartbreaking when it’s established that he’s the few with any family left alive. Rockman and Captain Wonder both start to lose their sanity out of grief. Much is made of how the world is different now, but neither the 1940s nor the 2010s are made out to significantly better or worse. A significant subplot follows the proto-Punisher Laughing Mask getting caught for killing a criminal during a robbery. His guns were on file as being used in his killing of gangsters back in the 1940s. (How he gets caught and the Punisher doesn’t is something I’m willing to ignore simply by pretending the Punisher doesn’t exist.) The Blue Blade, a washed-out actor looking to cash in on his war reputation, finds himself unable to get the attention of modern audiences. Mastermind Excello, who can read minds and intercept radio signals, finds himself overwhelmed by the onslaught of modern transmissions. Perhaps the book’s most fascinating character is Dynamic Man, a hero in the mold of the Aryan übermensch. Not only is he blonde with blue eyes, but he also expresses nationalistic doctrine while spouting racism and homophobia. It’s implied that he’s covering for his own sexual desires ... but this is actually some of the greatest misdirection I’ve seen since Thunderbolts: Justice, Like Lightning. I’m not going to spoil what his real deal is, but I will say that if you want to read The Twelve, do not look up Dynamic Man’s origin. Marvel pointedly did not reprint his origin when they did so for some of the other characters; knowing his secret will spoil the plot, although it’s still certainly readable without the surprise. It’s a feat that The Twelve is even finished. JMS and artist Chris Weston took a hiatus after issue eight to work on other projects. It finally concluded last year, and the wait was certainly worth it, especially art-wise. Weston’s art has a perfect use of shadows; he’s also very skilled in using block colors to illustrate flashbacks without losing details. Very little of the plot was affected by the hiatus; a few lines of dialogue at the start indicate that it takes place right after Civil War, but no superheroes appear in the modern segments. Perhaps the only thing that stands out as a possible change is Black Widow’s sexual orientation. JMS clearly implies her to be a lesbian in the earlier issues; later on, she starts returning the Phantom Reporter’s affections; maybe he intends she’s bisexual instead, though this wasn't clear to me. At the very end of the Twelve collection is Spearhead, a fun romp written and drawn by Weston showing how the heroes got together in the 1940s. With James Robinson set to start a new Invaders series next year, I hope some of the characters from The Twelve can take part. Marvel has always had to deal with the huge publishing gap between the '40s and '60s and The Twelve is a major step in defining their past.